Big important jobs usually go to the men who prove their ability to outgrow small ones.– Theodore Roosevelt, American President. At Soilmovers LLC, we feel like our reputation, our integrity and our character are on the line with each new project we begin. We feel fortunate to have associated with a great group of clients during past projects. We are happy to provide references on request. We value the confidentiality and privacy of our clients and only release information regarding past and current projects which the clients approve. Please read some actual excerpts from our long list of satisfied clients below. Recently Nick Jones and SoilMovers built a new lake on our property. To be quite honest after dealing with a series of contractors on the house construction my wife and I were dreading the pond project. Building the lake on our land turned out to be one of the most pleasant construction experiences of my life. Nick was always on site and keeping me updated since we were in Ft. Worth through the week. Nick would meet with us on weekends for a friendly chat to go over the prior week’s work in detail. My wife and I came to very much look forward to our weekend visits with Nick and to see what had been accomplished. Dealing with Nick and SoilMovers was an all-around great experience. We came to Texas for a new life in retirement not knowing a soul. As far back as we can remember having our own private lake was the number one goal. Since we were new to the area and well versed in business we interviewed a number of contractors for our lake project. Nick and SoilMovers was our choice because he was knowledgably, sincere and to the point. While building the project Nick and SoilMovers exceeded our expectations time and again to the point that we even looked forward to paying him every week! Nick and his crew utilized the natural aspects of our property to the fullest and beyond our wildest dreams. The whole episode with SoilMovers was grand and we only wish that every contractor experience could be so pleasant and rewarding. My wife and I are the typical new recreational land owners. 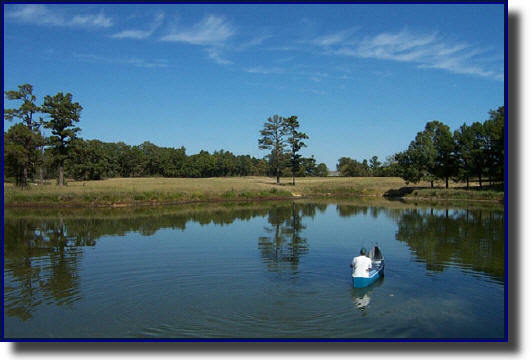 We are mostly retired and have always dreamed of having a piece of land with a fine water feature, a pond or lake. We started the process by contacting local contractors and lake management companies. We listened to a lot of promises of what we wanted to hear and processed them mostly “in one ear and out the other”. Then Nick at SoilMovers came along and right away we thought that he was the “real deal”. Nick flew in on his old Cessna and as the consult went along explained our project so that we could actually understand it. We hired Nick and SoilMovers to build our project and have not had a single regret since. On our family land in the Texas Hill Country the existing tank (West Texas slang for pond or lake) had always been mostly dry but a good wild hog wallow, LOL. I had heard about plastic liners and began the inquiry process. The local contractors did not know or want to know about plastic liners and wanted to use bentonite or haul in clay from off site. I knew that the local contractor way would probably be less expensive than the plastic liner but most likely would not work as well or not even work at all. Upon contacting the lake management companies that did plastic liners, boy did I get an earful of what I wanted to hear but it sounded like “just words” to me. Then I hired Nick at SoilMovers for a consult and the entire project started to become much clearer. Nick had the experience to know every “nut and bolt” of the project because he had done it and was still doing it! I hired Nick and SoilMovers immediately to build my project and have never looked back. 2018 was a wet year in Texas with lots of ponds, lakes and tanks washed away. The water feature project that Nick built for me weathered the storms with zero problems. I have been in the oil and gas business all of my life and have traveled the world overseeing construction projects. In retirement I wanted to build a large lake on my property. Having a great deal of construction experience I hired professional engineers to assess the site. The engineering reports were less than favorable for an “easy build” and the first contractor that I hired threw in the towel after only a few weeks. Then I hired Nick at SoilMovers to do a consult. Right away I was impressed by the amount of hands on experience that Nick possessed and decided to give him a try. I must admit that there were times during the project that I had to grit my teeth because even with my worldly construction background I was having trouble following what Nick and the SoilMovers crew were doing. However, since the engineering reports indicated a very challenging project and the first contractor had quit I kept my mouth shut and paid Nick every week. As the project reached completion and all of the pieces started fitting together it became obvious that Nick was spot on with everything that he had done. In 2017 we received almost 60 inches of rain during hurricane Harvey. My lake and everything that Nick had done on my property came through with flying colors. My hat is off to Nick and SoilMovers. In my mid 50’s I was successful and at the top of my game with a company known worldwide. Then health issues forced an early retirement so I bought a small piece of land to develop my own dreamscape. I ultimately hire Nick Jones and SoilMovers to build my project. Basically I had already defined the possibilities and scope of work that I thought were possible for my land tract. Soon after breaking ground on the project it became obvious to me that Nick was truly an artist with a bulldozer so I gave him free rein on the design decision making. Compared to my original thoughts I honestly could not believe how much better my land tract was shaping up. In awe as to what was transpiring on my property I purchased an adjoining land tract so that Nick could continue to work his land magic. What Nick built for me was more than I had ever hoped for. There are few if any contractors in the Nick Jones-SoilMovers category. As a “city bound” outdoors loving person my lifelong dream was to own a piece of land with my own lake. Approaching retirement my dream began to unfold with the initial land purchase. Then I started the arduous task of interviewing contractors to build my project. What an adventure that was, ten people with seven different opinions and NO guarantees. Wow, I could see the dark clouds building and then I hired Nick Jones of SoilMovers for a consult. Nick was different because of his vast experience spread out over a very wide geographic area. Nick actually knew how to build the project, not just talk about it. No other contractors that I interviewed even came close to Nick’s qualifications. Nick’s explanation of how the project should be built was clear and easy to understand. After receiving (the) SoilMovers consult report I continued the interview process but always came back to Nick. Nick and the SoilMovers team built my project flawlessly overcoming all of the challenges that came our way. The overall design and finished product exceeded all of my expectations. Nick even took the time to advise me on my farm tractor/equipment purchase and how to properly use and maintain it. How many people in today’s world are willing to do that? Nick is a friend and welcome at my house anytime! I recommend Nick and SoilMovers with no reservations. Who is your favorite artist? I didn’t have one ’til now. He is none other than Nick Jones, Soilmovers LLC. Instead of a brush and an easel, A bulldozer suits him just fine. Nick transformed a botched mud puddle into a “Lake of Dreams”. His knowledge in approaching this project was truly thorough and uncanny. I sincerely admire Nick’s integrity and hard work ethic. As you can tell, I would certainly recommend him highly when you consider developing your “Lake of Dreams”. Not only are we enjoying the fruits of his labor, we have invested wisely in our financial future. During this past summer, my old two acre pond was transformed by Nick Jones. It is now much larger and definitely deeper, with shelves, deep drop-offs, bays and points. The surrounding land contour now has several berms and a swale. Its’ natural feeling is very pleasing to the eye. In other words, Nick transformed my old flat mud hole into a pond that will attract cranes and ducks as well as being an exciting place to fish. We chose Nick to be our contractor because of his willingness to re-do a poorly constructed pond. We now understand why fixing an old pond is harder than starting off on fresh virgin land. I must say that Nick deserves the credit, since he suggested ideas that I would have never even dreamed. Nick is an artist and a teacher, not just a “soilmover”. He is willing to discuss the pros and cons of any idea and hee never dodged any of my questions. He is easy to talk with and gives understandable answers. He is up front about costs.There were no surprises. Billing is a weekly event. It is also meticulous. It is noteworthy that Nick has knowledge of county regulations, which brought our project into compliance. In summary, if I sound happy and proud, I am. I owe Nick Jones a big thank you. We asked you to build the lake at a site that presented numerous challenges, but you were able to work wonders with it while completing the work under budget. The results are pleasing to the eye, but we were also impressed with the help you gave us in planning. Your evaluation of the soils prior to design and construction helped us avoid potential difficulties by revealing that our original site selection for the dam would have resulted in chronic leakage. The dam you constructed recently survived a record twenty-four hour rainfall with only superficial damage to the spillway. The suction pipe you recommended and installed performed beautifully, and we could have avoided even that minor damage to the spillway had not persistent rains through out the spring prevented us from planting grass on the dam. It was a pleasure working with you from beginning to end. You should be proud of the result. Our family looks forward to many years of enjoyment of our lake. It is rare to find a consultant who puts such thought and effort into his work as Nick Jones. I recently had the privilege to witness his team of professionals build a beautiful lake, and sculpt my raw land into a much more aesthetically pleasing and functionally utilizable piece of property. Nick and his crew provide the quality craftsmanship that it takes to create a body of water that will enhance the value and enjoyment of your land. We had a general idea of what we wanted and intended to contact a couple of companies to take a look at our plans. After meeting Nick Jones the first time, I did not feel like we needed to meet with anyone else. A lake, two ponds, and miles of roads later, we now know our first instincts were correct. Nick has a unique vision to see the finished product; when we had difficulty seeing past only the rough land. Although there are a lot of skilled heavy equipment operators, including Nick and his group, the ability to develop a project that looks as if it’s part of the land is an unusual and valuable trait. The projects Nick completed exceeded my expectations; the real bonus for me though is his generosity in sharing knowledge. I had the opportunity to visit a couple of times each week during the projects and always walked away with sense that I learned something new and interesting. Artists with bulldozers is the only way I can describe Nick Jones and his crew from Soilmovers LLC. He transformed my scraggly lake into a golf course park-like setting, ready to be stocked with the someday trophy bass I hope to catch when I’m retired. He is level headed, polite, and full of ideas that will save you money, if you listen to him. He is extremely trustworthy and non-obtrusive and will respect your privacy and your property while he is on site. Please consider this an unqualified recommendation for Nick Jones. 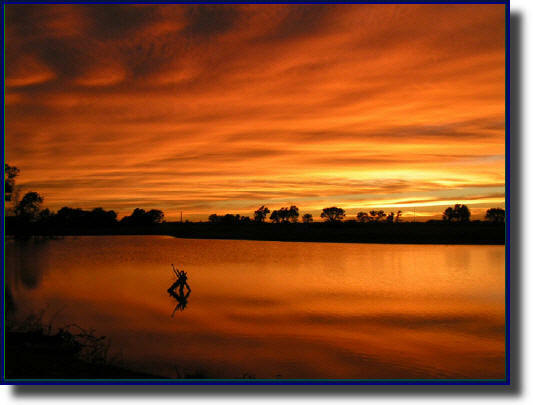 If you are considering building your dream fishing lake, look no further than Nick. I cannot tell you how pleased I am for the design, strategy, and forethought used in building my lake. I cannot wait until the day comes that I have my kids out there on our lake catching trophy bass and eating fresh catfish for dinner! He’s the man, and if you want it done right he can do it. And do it in a time frame that you will actually live to see it! He has not only the artist’s eye for design and concept, but he wields a mean bulldozer making the land his canvas.